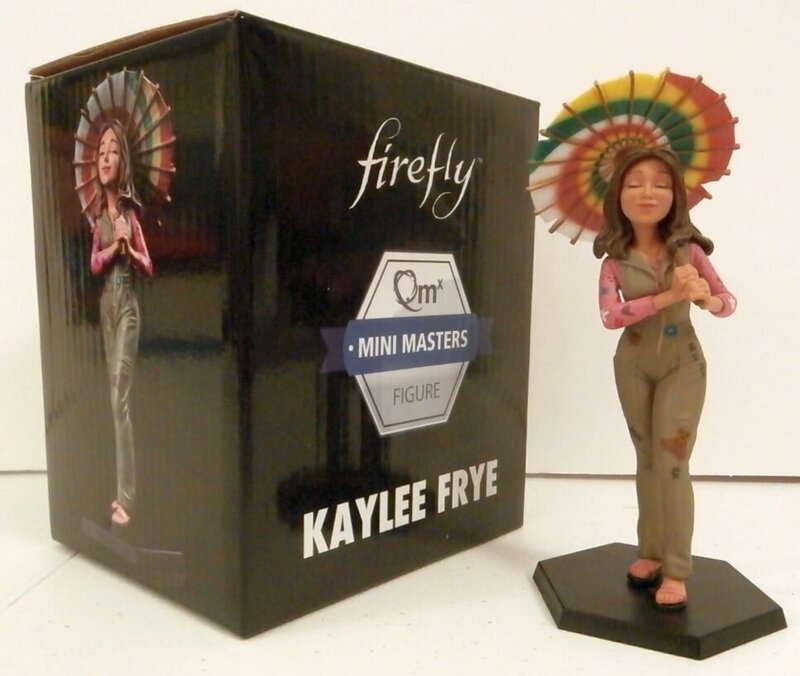 This is an exclusive Kaylee little Damn Heroes Mini Master Figurine. 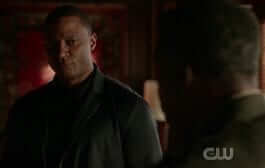 Kaylee is a mechanic as noted by her outfit. 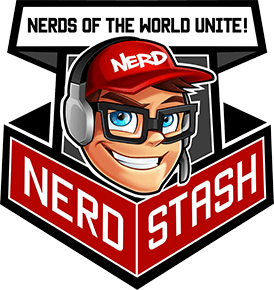 This figurine makes her a little cuter with the parasol. 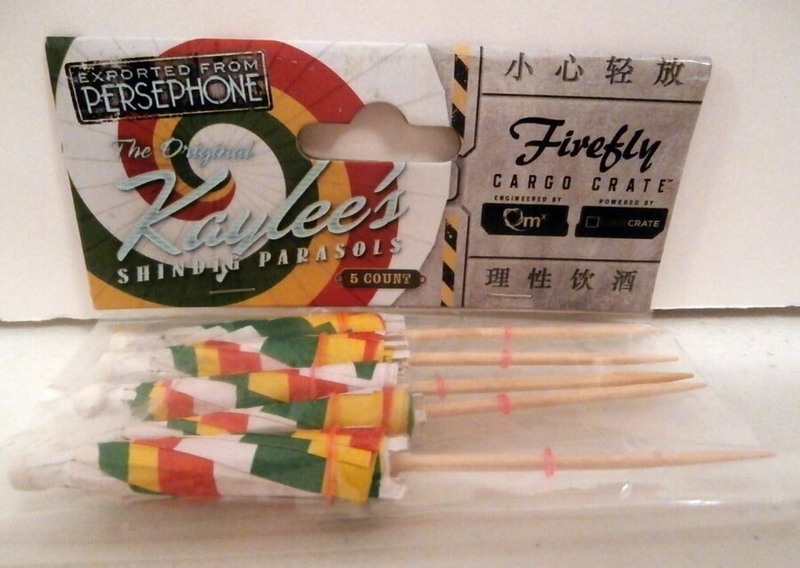 Kaylee Drink Umbrella Set was included in the crate with umbrella’s or parasols that match the figurine. As you can tell, Kaylee is the central focus of this crate. 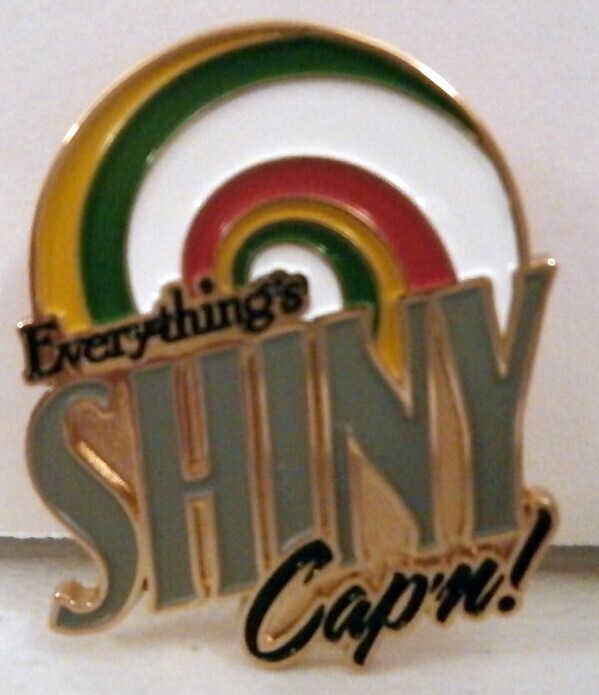 They even use part of her quote to name the theme for this particular month, “Everything’s Shiny, Cap’n. Not to fret.” This plush bear is in honor of Kaylee, as well. Continuing the theme, they included this pin with the quote on it. 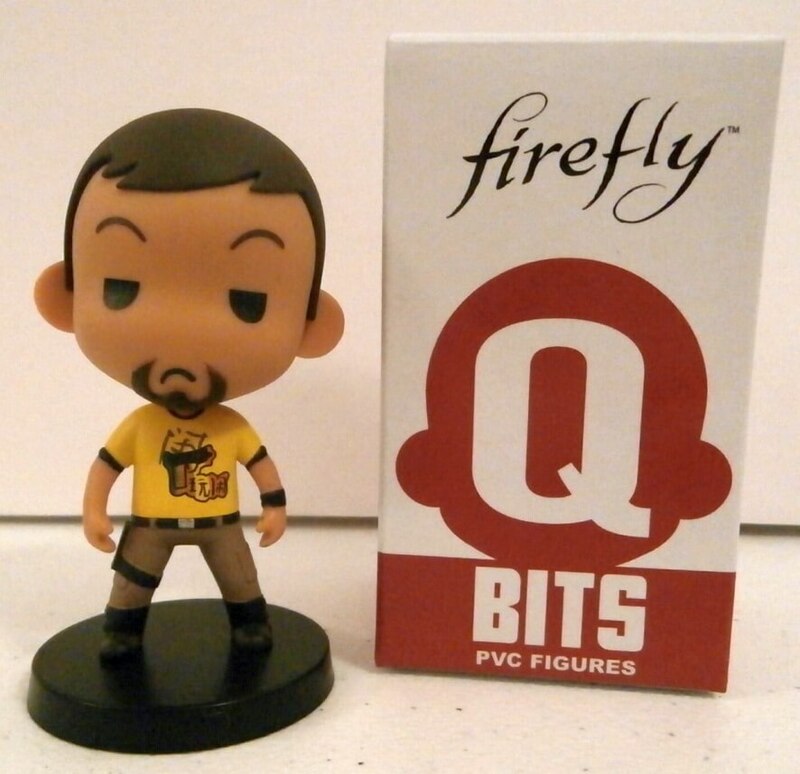 This Q Bits mystery figure was one of two characters. We got Jayne Cobb. 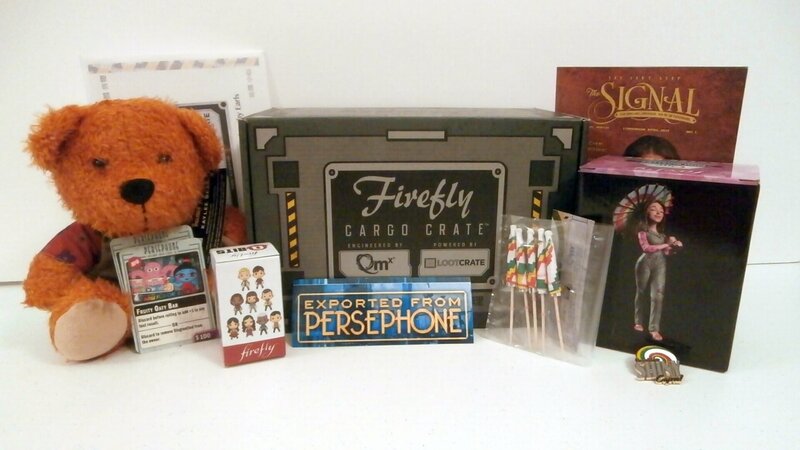 Also, included in this crate was two Firefly Board Game Cards. 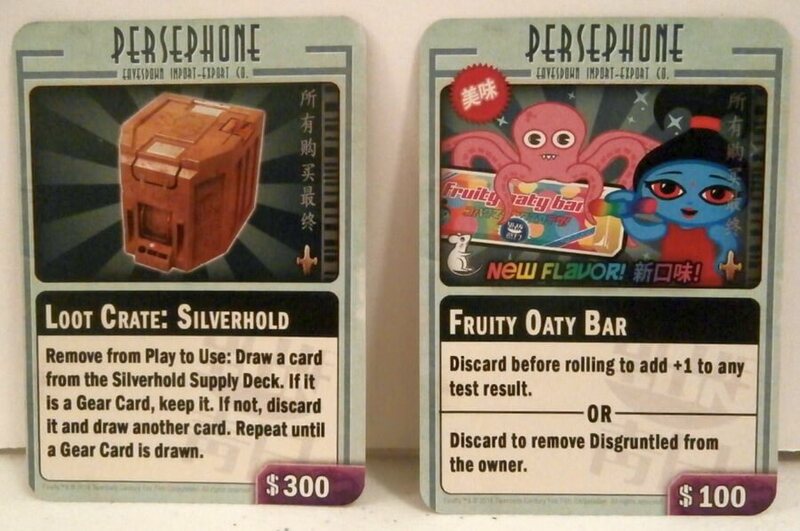 I’m not familiar with this game but it appears there is some value to these cards. 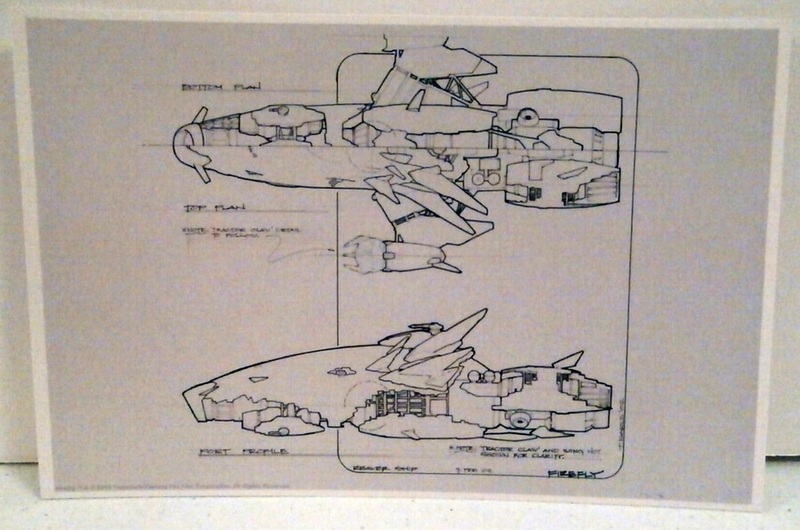 This is a Firefly Travel Sticker from Persephone. 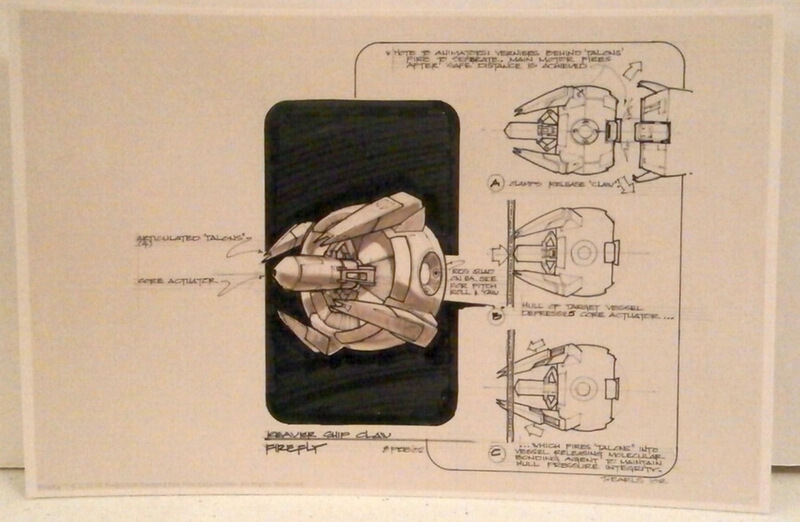 These two mini-prints are exclusive Firefly Concept Art showing some early Reaver ship concepts. 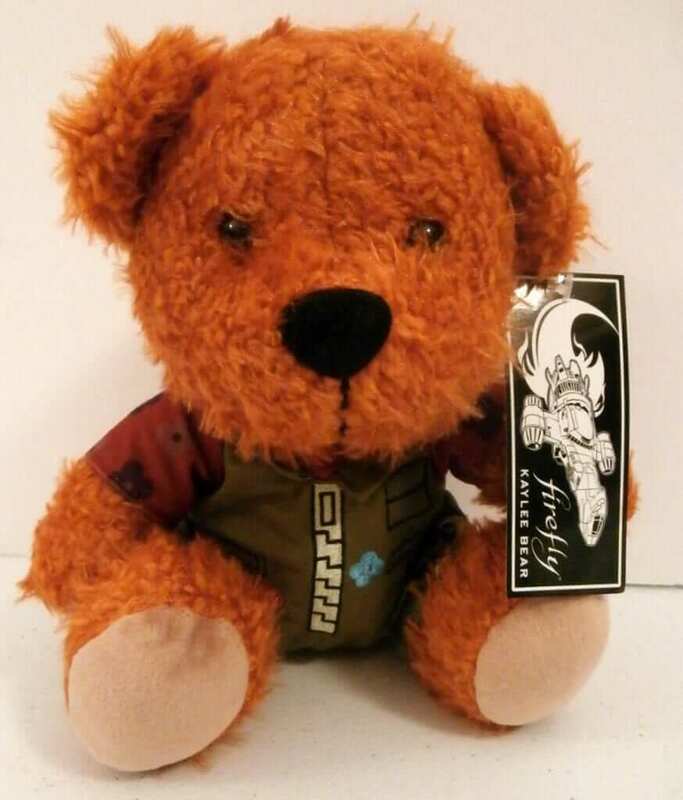 You should definitely check out all the different crates including this one if you are a Firefly fan.